The bases are made of a high quality aluminum mold, sand blasted, and powder coated to a gorgeous silver, or sleek matte black. 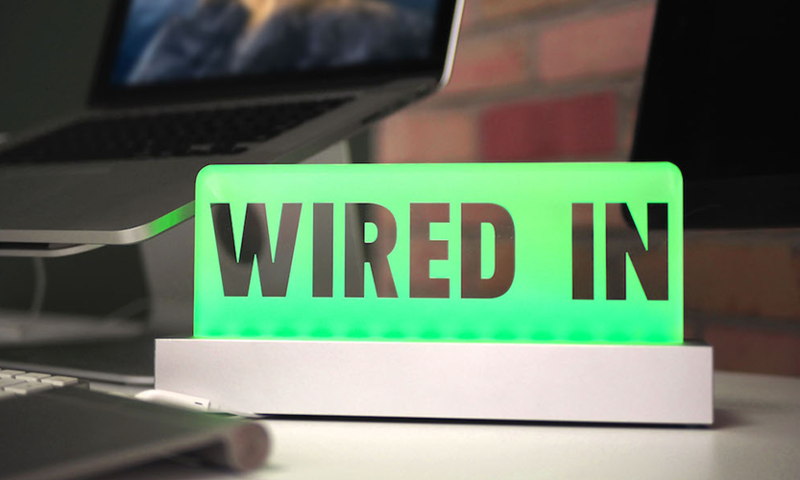 Using Wired In desktop app you can easily control the sign to any color you want with the flick of a keystroke. The sign looks beautiful on a desk, but it can also be mounted upside down or sideways on a wall and the acrylic will securely hold. The acrylic is securely held in place, and can easily be swapped with another. You can fully customize the design of your sign with custom text, or a custom image. You use a simple desktop application to change the color of your sign to match your status. The color creates a meaningful signal to those around you to help you stay completely focused on your work. Interruptions come from everywhere. 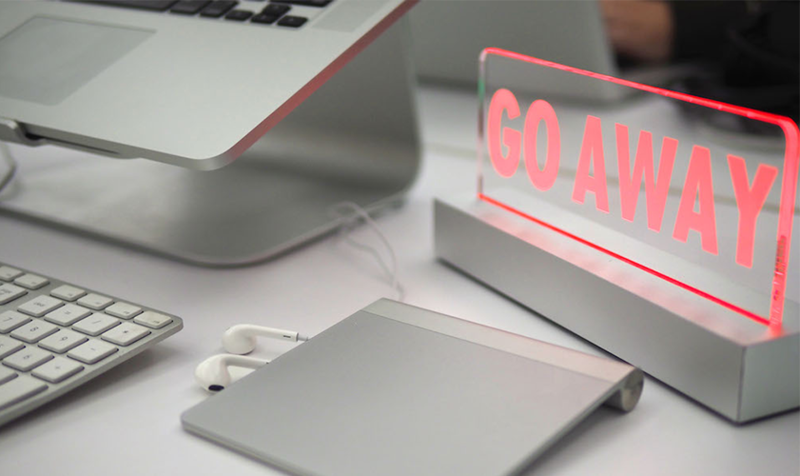 Using a Wired In sign, you can show you are focused and need to be uninterrupted. Set colors to match your company and your team. With clear text and status color people around you will know to leave you alone. 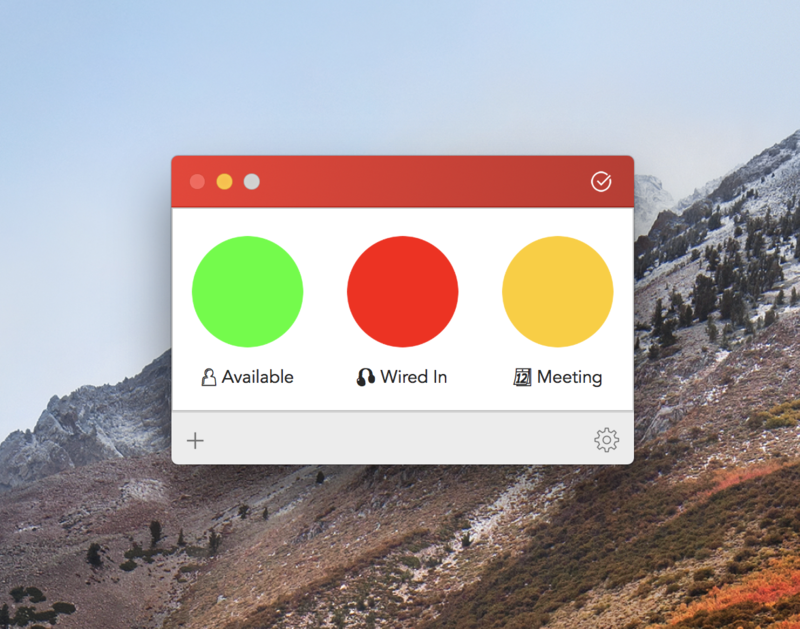 The desktop app allows you to create custom preset colors and statuses. You can easily change them with a custom keystroke. Disruptions while you're on a call can sink that big deal. Communicate clearly that you're busy so people don't distract you. 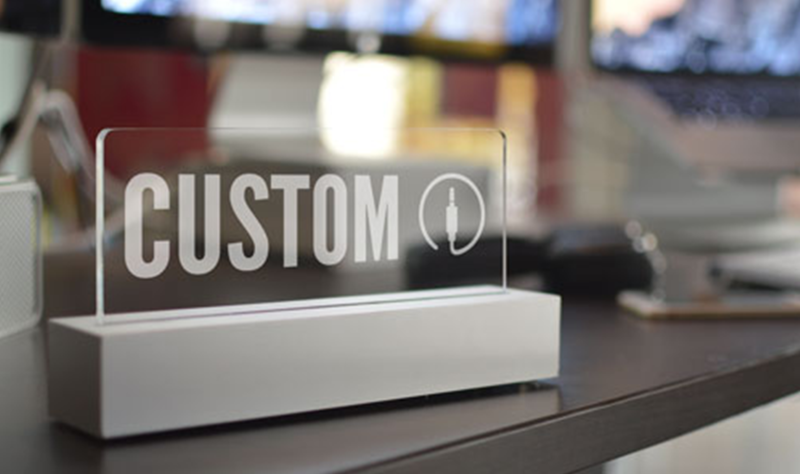 THe acrylic can be engraved with custom text or even an image. It's as simple as uploading a vector file. 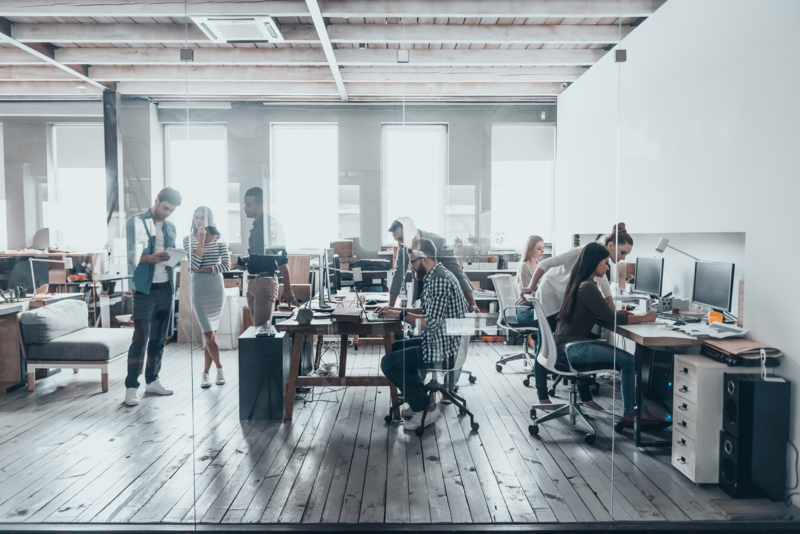 More focused and productive team members lead to a happier workplace experience. 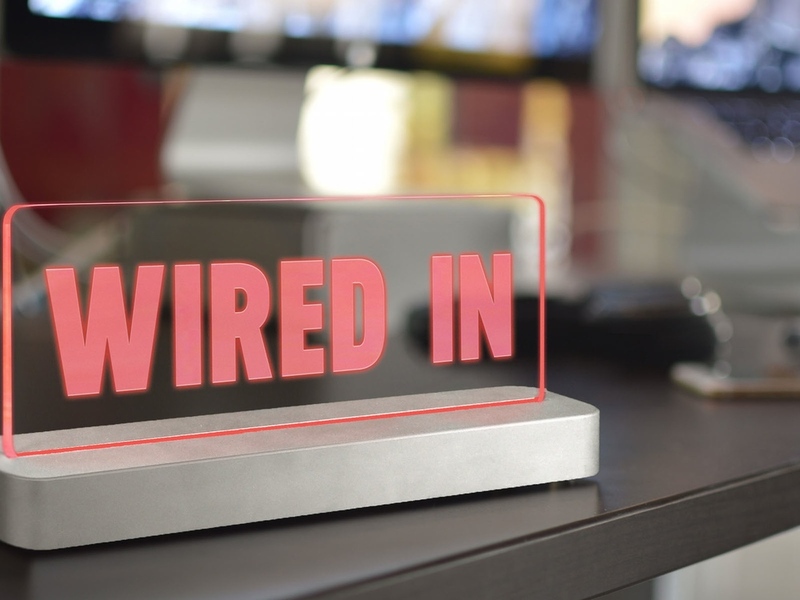 Level up your open office with Wired In signs. 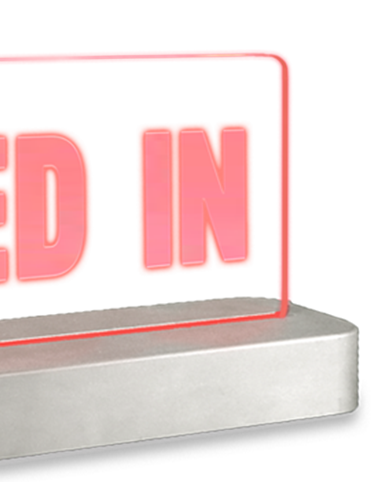 You can purchase a single sign or standalone acrylic. Or you can buy a full set of signs for your entire team. 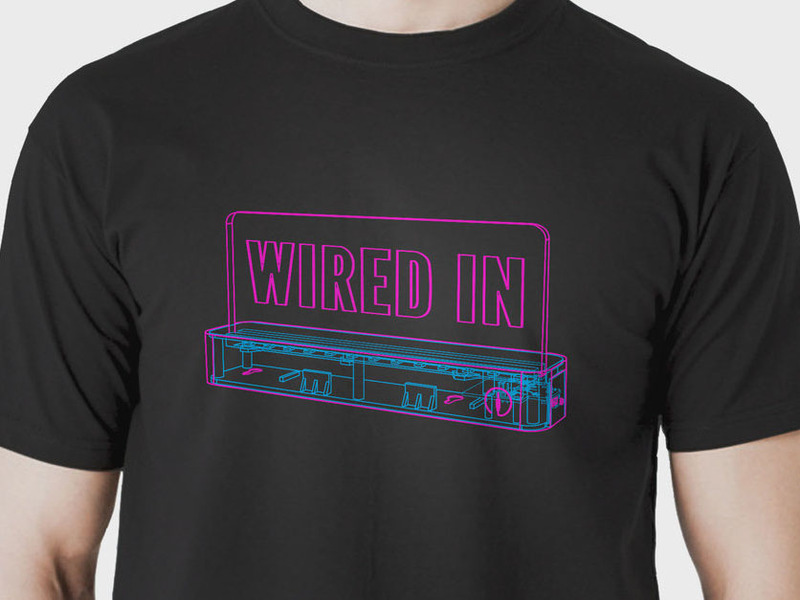 Wired In has been tested and used at companies you know and love to help developers, designers and sales teams focus on their work and be more productive. Subscribe to our newsletter to get productivity tips and the latest updates on Wired In features and products we release. 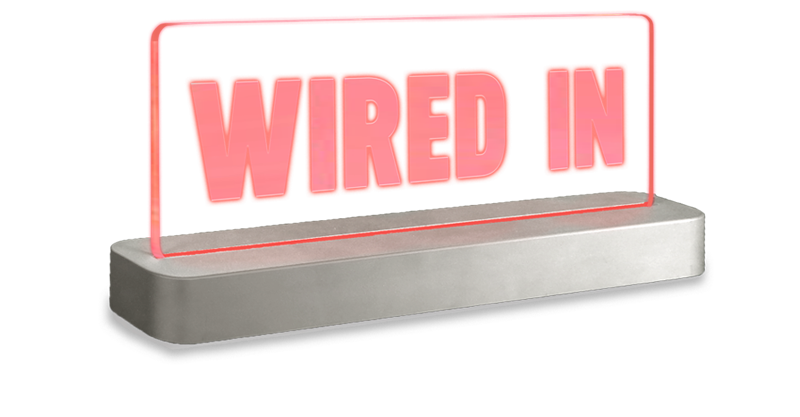 Wired In is dedicated to helping teams around the world to focus on their work and collaborate together more effectively. Copyright © Wired In LLC 2018 - All Right Reserved.